With the right settings, your Apple Watch can unlock your Mac for you. That's right, no more unlocking your Mac with a password. All you have to do is be close enough to your Mac (which you would be if you are going to use it). If your Apple Watch is Series 0, 1, or 2 you must be using watchOS 3 or later and your Mac must be using macOS Sierra or later. If your Apple Watch is Series 3 or 4 then you must be using watchOS 4 and your Mac must be running macOS High Sierra. Your Mac cannot be using internet sharing or screen sharing. Make sure that your Apple ID requires two-factor authentication. This is different than two-step authentication, so get two-factor authentication set up if you don't already have it working. Note that for Auto Unlock to work both your Apple Watch and your Mac must be signed in under the same Apple ID. If your Mac is a shared device in your household and your users have individual Apple IDs then Auto Unlock will only work for the Apple ID that matches both devices. Confirm that your Mac has both Bluetooth and Wi-Fi enabled. Chances are that your Wi-Fi is already on, but you can check by clicking the Wi-Fi icon in the menu bar. Your Bluetooth can also be accessed through its own icon in the menu bar, or through Apple Menu > System Preferences > Bluetooth. Both your Mac and Apple Watch must be using a Passcode. Set up an Apple Watch Passcode via the Watch App on your iPhone through the My Watch tab and scrolling down to tap Passcode. On your Mac navigate to your security preferences. Go to Apple menu > System Preferences > Security & Privacy then click the General tab. Then check the Allow your Apple Watch to Unlock your Mac option. Walk up to your Mac and see it wake up for you, no password required! There are a lot of requirements for Auto Unlock, so don't panic if you can't see the option to enable Auto Unlock. That just means you need to double check your operating systems to make sure they meet the requirements. 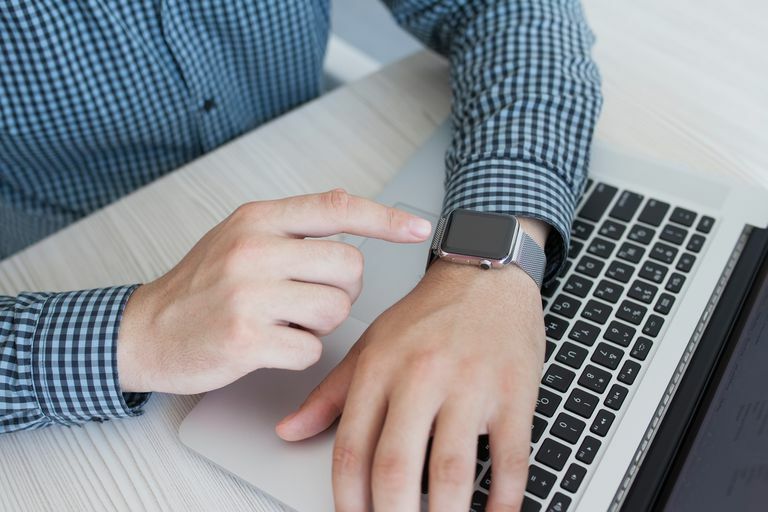 Run through these steps again and make sure you have the right watchOS and macOS (note that your Mac must be from 2013 or later), that you have two-factor authentication set up, and both devices are signed in with the same Apple ID. You also can't use Auto Unlock if both your Apple Watch and your Mac don't currently use Passcodes. Apple Watch Won't Pair? No Problem!